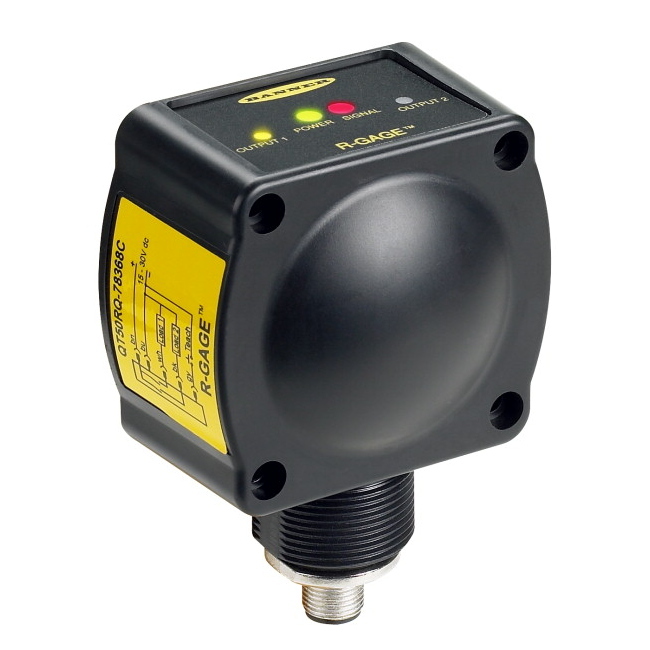 R-GAGE FMCW (True-Presence) Radar-Based Sensor. Range: 3 to 15 m; Input: 12 to 30V dc. Output: Bipolar: 1 NPN; 1 PNP; Selectable NO or NC. Quick-Disconnect Connector. QT50RAF-CN CABLE HOOKUP 2M CBL BIPOLAR OUTPUTS. QT50RAF-EU 2M CABLE BIPOLAR OUTPUTS. QT50RAF-UK 2M CABLE BIPOLAR OUTPUTS. QT50RAFQ-CN INTEGRAL QD HOOKUP EURO QD BIPOLAR OUTPUTS. QT50RAFQ-EU INTEGRAL EURO QD BIPOLAR OUTPUTS. QT50RAFQ-UK INTEGRAL EURO QD BIPOLAR OUTPUTS.